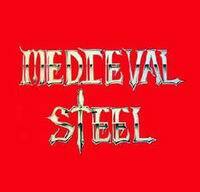 Medieval Steel are an American epic metal band from Memphis, TN, which was formed in 1982. The band released a self-titled EP in 1984, a demo in 1989 and a compilation album, "The Dungeon Tapes", in 2005. This album contains all of the tracks from the aformentioned EP plus newly recorded songs.